Need a recipe for a tasty sweet snack? 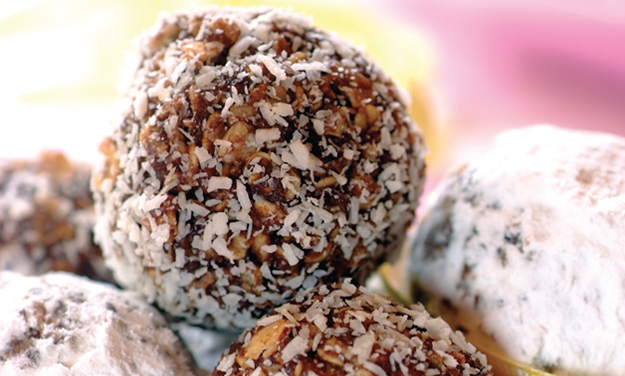 Try this chocolate truffles recipe for a delicious baked treat today. Stork – love to bake. Mix all the ingredients (except the coconut) together in a mixing bowl until a dough forms. Roll mixture into small balls about 10ml in size. Place coconut in a small bowl. Roll the balls in coconut and refrigerate for 2 hours before eating.